Investing is a process that many go into without completely understanding the right way to go about it. Even knowing a little bit about how investing works is better than nothing. 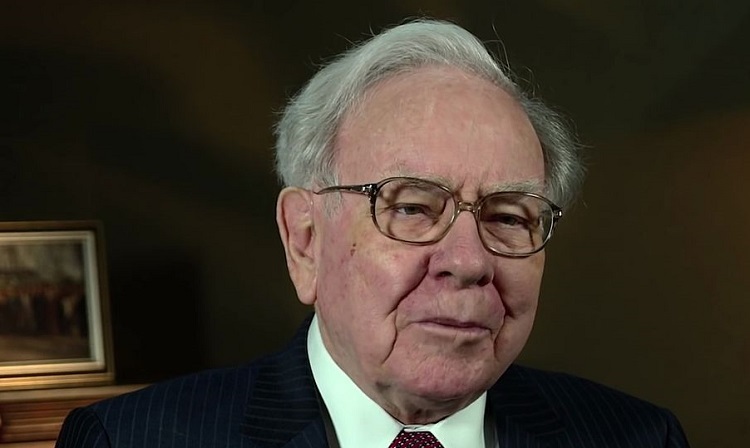 Here are Warren Buffett’s top quotes on investing. Listen to what he has to say and start making the best, smart choices on your investments right away. The optimal time for making risky decisions is when we are not well enough informed of what the risks actually are, and more importantly, how to avoid them. Before you make any kind of decision, before you shake any hands, before you initial or sign anything with your name on it, do your research. Know as many details as possible about what you are getting into before you decide whether or not to move forward. Buying something with the idea of selling it off right away pretty much means you don’t value it for what it is, and when it comes to investing, this is not a smart move to make. You never know if something you invest in is going to completely plummet in dollar value, meaning selling it off wouldn’t be worth it at all. Invest in things you value for more than just their dollar amount, and even if their price begins to drop, you will still be able to see the other value in it anyway. The thing about investing in anything is that it is not a quick thing. Instant results in the investment world do not exist. If you are not willing to purchase and hold onto something for a long period of time, it isn’t worth doing the same thing for a much shorter period of time. If it has little to no true value to you other than money, it is not worth investing in. Here is a guide to help you better determine when to buy, hold and sell certain stocks. Everything in the investment world pretty much has a price value, but the price value of something is not the same thing as the value of what it is actually worth. True value is what you will actually get out of the investment other than money. However, knowing the value of something can help you to determine whether something is priced fairly and, therefore, worth the initial investment. When investing, you must be careful not only to surround yourself with the best people possible, but to carry yourself in the best way possible as well. While it is true that everyone makes mistakes, this does not mean that you should not try to avoid making them. Reputation is everything in the investment world. If you cannot prove to someone that you are trustworthy, they are more likely to choose not to work with you. Make smart decisions, as best you can, always. When investing in businesses, especially early on, what you do not want to end up doing, intentionally or unintentionally, is paying more for a company that is not going to generate high returns on that investment. It is much more beneficial to pay a little less than ideal – a fair price – investing in a company that will more than make up for that initial payment in return due to its massive success. In some cases in terms of business, saying yes is a good thing, and turning down valuable opportunities is not always wise. When it comes to investing, however, you must realize that only the best possible options are worth the investment. Everything else is not even close to being worth it, and saying no is absolutely essential. If you want to be successful, it is essential that you learn and practice how to say yes to saying no. Things are not always certain, especially when it comes to investing. But keeping an eye on the past can help you think more deeply about the decisions you might make that will impact your future. If you can look back on a similar situation to the one you are currently in and identify what could and should have been done differently, you can use that knowledge to make better investment decisions now, in the present. When it comes to investing in anything, make sure you are always surrounding yourself with the right people. Associate yourself with people who are not only good influences on you, but who will lead you in the right direction as you begin to follow them. If they are the right people, they will never steer you wrong. Here are the types of people you should surround yourself with in order to achieve optimal success. Those who are trustworthy and worth establishing partnerships with are those who are willing to invest the appropriate amount of money relative to the value of an idea, business model or otherwise. Never trust someone who is not willing to pay what is deserved based on value. Honesty is essential in business, and those you cannot trust to pay, you cannot trust to tell the truth. Get your investments in order and be smart about your choices from this point forward.